Our gut (stomach & intestines) is the brain and master planner of our entire body. It is like a little factory in there with very important workers!! We need to take care of our good workers and make sure that the toxic, bad ones do not take over. Our job on the outside is to take care of our good guys on our inside. We are the CEO of this company/factory and they rely on us! With conventional medicine, we are over-prescribed antibiotics. Many people believe that if they are sick, they need antibiotics. First of all, if you have a viral infection, an antibiotic is not going to help you get better. In fact, it will slow your healing and kill off the good guys whose job is to help you heal and be healthy. If you do have a bacterial infection, antibiotics can be helpful. They will kill the bad guys, but they will also kill the good guys, especially if it’s a broad spectrum (non-specific) antibiotic like a z-pac. So the antibiotics are like a machine gun coming into our factory and wiping out as many workers, good AND bad, as it can. Our gut factory has 500 different species of bugs (bacteria) and TEN times more bacteria than we have cells in our body!!! That’s A LOT OF workers!!! And they weigh 4-5 lbs and have about 500 MILLION neurons! make cancer-killing substances to protect us from mutated cells!! When we have the right balance, we don’t get gas & bloating, yeast infections, and it helps increase our immunity, lower our risk for disease, increases brain function, heart function (they help regulate and normalize cholesterol and triglycerides), they play an important role in hormone regulation, and overall good health. For PROBIOTICS – look for lactobacillus and bifidobacteria. Plantarum is especially good for IBS. Saccharomyces boulardii is actually a yeast, not a bacteria, and is good if you have chronic diarrhea. 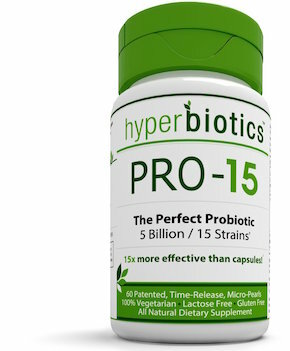 Generally, a good overall probiotic to take is the hyperbiotics (sold on Amazon, best to buy when it’s colder outside). They also sell some specifically for kiddos. They run about $25 per bottle for 60 “time released pearls”, and are WORTH THE INVESTMENT!!!! That’s only $12.50/month, and you can even save more if you subscribe for them to be automatically delivered. They DO need to be refrigerated or kept in the freezer and it is recommended they be taken between meals (empty stomach for better absorption), ESPECIALLY if you are on antibiotics! I usually take one first thing in the morning or at night before I go to bed. You can also find various brands in the refrigerated section near the health foods at your local grocer or health food store, or Whole Foods. This is not an easy habit to start, since they are refrigerated and you have to remember to take them. But it’s VERY important to make it a habit!! Write yourself notes, set alarms, whatever you have to do. 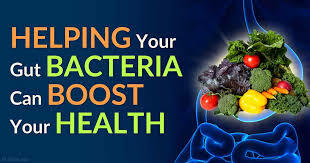 PREBIOTICS are basically fibers that provide energy for the probiotics. They turn into sugars and the probiotics use it to grow. 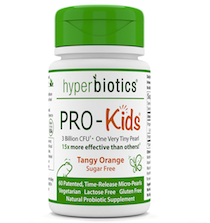 A lot of probiotics have FOS Fructolosaccharides in them, which helps to feed the probiotics. Our REASON for eating is to get the right nutrients to cells so we can thrive and live a healthy life. If we allow disruption in our gut factory with too many bad guys, our cells do not get these nutrients, we can’t eliminate waste (then it builds up and causes more toxins in our body), and we won’t even know what it’s like to feel our best! So what am I saying? Take your probiotics, and don’t jump on the antibiotic train unless you KNOW you need them.